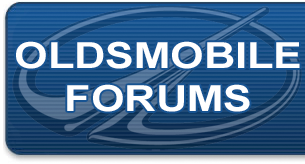 How to's and FAQ's Forum specifically intended for Oldsmobile how to's and frequently asked questions. I have a 2001 Olds Intrigue that I am trying to bring back to original condition/like New. I would like to replace the sub frame insulators. The front insulators are still available through GM, however the rear ones are not. I have yet been able to find an after market part for these parts. Can any one tell me if they know of a after market manufacture or if another GM model car would have the same or close to the same part. Dorman P/N 924-007 looks really close to the right one but height dimension is not the same. They do not make the rear insulator for some reason. The GM P/N I'm looking for is 10249731 and 10414244. The first thing I think about is to look at Grand Prix, and Buick Century. A web search with your part number 10249731 came up with them available from a GM vendor. I added 1 to my cart and got as far as shipping etc. so I think its a normally stocked part. Price was $39.20 each. I'm not putting in any links because I don't know what the sponsor situation is on this forum, but have you not been able to find them on line? Thanks for the reply. I tried GM Direct, GM Parts Giant and many more and they all said they are discontinued and no longer available. I tried ordering them from GM Parts Giant on line (because online led me to believe they were in stock) and I went through the ordering process to include my credit card info and a half an hour later they came back with the same response, part has been discontinued and no longer available. I did find one that is real close, that goes on a 2001 Chevy Lumina(924-004). It comes with two different insulators with different color markings. I suspect that one may be for a stiffer ride, but not sure. I sent a msg asking Dorman and they said they sent my msg to there techs and to-date I have not received a reply. I have not installed them yet because I'm in the process of cleaning the frame for painting. I hope this issue is resolved. Now my next one is the power steering return line. Mine is very rusty so I would like to replace it. But once again, the part is discontinued and I can't even find a aftermarket one. Thanks again!